Trash cans and toilet paper. You wouldn’t expect CEOs to concern themselves with such mundane items. Aren’t they supposed to concentrate on managing the company’s resources, developing and implementing long-term strategies and communicating with the board of directors? Yes, of course. But part of their overall strategy may need to include small changes in the workplace that can lead to big shifts in employee outlooks and increased productivity in the workplace. Suzanne Sitherwood has been CEO of Laclede Gas Company since 2012. An article in the Wall Street Journal yesterday, “CEOs Sometimes Use Small Changes as Wedge for Broad Transformation,” detailed a few of the design changes she made when she took over to foster an interactive atmosphere. These included moving into her assistant’s office, installing a round table for management meetings to foster “a sense of unity and equality” and keeping her office door open. And she banned the use of individual trash cans in offices. Yes, that’s right. Trash cans were taken out of individual offices and moved to communal areas to encourage staffers to meet face to face. So instead of tossing a crumpled-up piece of paper into the bin by your desk, you had to get up and walk into the main area, where you just might run into a co-worker doing the same thing. Both these CEOs know that attention to small seemingly insignificant details like these can lead to bigger changes in their companies. Laclede Group, now rebranded as Spire, was once considered a conservative, unexciting utility. After Sitherwood took over, she turned that image around. The company made two major acquisitions of other gas utility companies, and increased the stock more than 50 percent. A little change that that led to a major turnaround for me had to do with toilet paper. I was brought in to manage a computer parts company in Texas after the bank had forced the egomaniacal, ineffective CEO out. Although he was highly educated, he didn’t know diddly about how to treat employees. His wife, affectionately known to the employees as the Dragon Lady, was the COO. It didn’t take me long to find out what she had done to earn this nickname. She was rationing coffee and toilet paper. My first day there, a meek-looking secretary shyly approached me and asked for $20 to buy the daily allotment of coffee and toilet paper. I’d actually never heard the term “daily allotment of coffee and toilet paper” outside of a war-time situation. It seems Dragon Lady had limited how much of these items employees were allowed to use. My decision was easy in this case. Banish the daily allotment – toilet paper and coffee for everyone! That one small change signaled to the employees that they mattered to the company. That one small gesture changed everything. The employees regained their faith in the company and they all begin working together to save it. We stabilized the company, sold it in six months, and all the employees kept their jobs. There’s one change designed to improve office morale I find a little questionable. Last year President Nobuaki Aoki of the MK Taxi company in Kyoto, Japan, installed six personalized vending machines in his company. These machines have his photo on them and in addition to snacks, dispenses sound bites in his dialect like “Groom yourself well and smile,” “Good job,” and “Thanks for working hard again today.” The idea, of course, is to boost employee morale. But I’m guessing these words mean a lot more coming from a supervisor rather than a machine. Think about small changes in your office that could boost employee morale. But think twice about the vending machine. But despite the fact I play fair and treat people well doesn’t mean I’m universally loved — far from it. In a career as a Turnaround Authority, you have to make many unpopular decisions. If you want to be everybody’s friend, you’ll never make it in this business. It’s like that quote by Harry Truman, “If you want a friend in Washington, get a dog.” The same goes in the turnaround business. To be an effective leader, you have to be willing to be unpopular at times. I’ve been so unpopular at times that I’ve been shot at – twice! When you catch people not doing what they are supposed to do or need to reduce staff or benefits, people get unhappy. A truly great CEO will make unpopular decisions for many reasons — to save the company, to ward off competition, to prepare for future changes in the marketplace. In 2004, the industry thought Verizon CEO Ivan Seidenberg was bluffing, and even worse, crazy, when he unveiled his unpopular plan to lay down fiber-optic cable across the country to the tune of $24 billion. Verizon is now the nation’s top carrier. When Howard Schultz came back as CEO of Starbucks in 2008, he took responsibility for the bad situation the company was in, despite the fact he hadn’t been at the helm during the previous eight years. The share price was down 50% with news sources claiming Starbucks was no longer relevant and would be killed off by McDonald’s. Because the cost was so high at a tough time in the company’s history, his decision to fly 10,000 store managers to New Orleans for a conference was an unpopular one. But he credits that conference with turning the company around. “If we hadn’t had New Orleans, we wouldn’t have turned things around. It was real, it was truthful, and it was about leadership,” he said in an interview in the Harvard Business Review. And let’s talk about one of the most unpopular CEOs of this century: Steve Jobs. He was fired from his own company at the age of 30. Rather than wallow in defeat, he created a new company, Pixar Animation Studios. 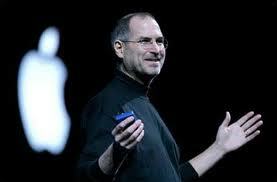 In 1996, he returned to Apple, became its CEO the following year and created products like the iPod, iPhone and iPad. And look at it this way, odds are you won’t get shot at. It seems to be human nature to always be chasing after the newest thing. As just one example, think about how many people eagerly anticipate the latest product from Apple. When the new iPhone 5 was introduced last fall, people in New York City set up camp eight days in advance to snag the latest model. Of course, you’ve got to constantly be working to acquire new customers. Even when your business is humming along at full capacity, you’ve got to keep filling the pipeline to keep your business growing and replace any lost business. The problem is when all the attention is focused on landing that new customer, without paying adequate attention to current customers. To keep your company growing and thriving, you’ve got to maintain focus on retaining the customers you have. • Statistics show that 80 percent of your company’s future revenue will come from just 20 percent of your existing customers. • A 5 percent increase in customer retention can increase a company’s profitability by 75 percent, according to a study done by Bain and Company. • Estimates show that it costs five times more to attract a new customer than maintain an existing one. • U.S. corporations lose 50 percent of their customers every five years with an average defection rate of 10 to 30 percent each year, according to business researcher Frederick Reichbeld. That’s a lot of money walking out the door that you may be able to save. If you’re not paying enough attention to current customers, you need to start now. So what should you do? The good news is that it doesn’t have to take a lot to keep current customers happy. It can be as easy as regular phone calls, just to check in and ask how everything is going and if there are any concerns you need to address. Ask if their business is about to undergo any major changes where your company may be of help. Make sure your current customers get notice of upcoming sales promotions prior to making them public. Offer some special deals now and then, for current customers only. Keep their pricing competitive with the marketplace. If you’re introducing a new product, invite your current customers to come experience it. If they are currently using your products or services, they are your best market for any new products and can provide valuable feedback. That’s what I call a win-win. You can also engage with your customers on social media. If a customer’s business is having a promotion, post it on your Facebook page or retweet it to your business’ followers as a way to offer them additional support. It’s all about regular communication and making your current customers feel valued. Let them know you appreciate their business. There’s an old Texas saying, popular with the late famed University of Texas football coach Darrell Royal: “Dance with the one that brung you.” Support those who are supporting you: your current customers. “Well, I’ve never made a mistake,” she said. I would have ended the interview right there. With those six words, that woman revealed that she is not someone I want to hire. She let me know that she did not recognize her mistakes and that when things do go wrong, she’ll either deny them or blame someone else. Every person and every company makes mistakes. The important part, and the way to judge someone’s integrity and business savvy, is what they do next. Steve Jobs would admit when Apple made mistakes. “But we learned from it,” he would say. I encourage the executives I work with to admit their mistakes. The first chapter of my new book, “How Not to Hire a Guy Like Me,” starts with my encouragement of presidents, CEOs or owners of businesses to admit their mistakes. While my book is based on lessons learned from CEOs’ mistakes, my readers can’t begin to handle the problems facing their own companies until they admit their mistakes. When Steve Jobs introduced the iCloud in 2011 in one of his famous keynotes, he dealt with the elephant in the room — Mobile Me — straight on and with humor. Everyone in the room knew that Mobile Me had been a failure and had been clobbered by its competitors. The iCloud was the new product Apple was introducing in its place. Many people, perhaps men in particular, worry that admitting their mistakes will make them look stupid. Well, what happens when they don’t admit their mistakes and they get found out? Then they look foolish and deceptive. But if you admit your mistakes, people will trust you and respect you as a leader. And trust and respect are important to building strong business relationships with your employees and customers. I tell a story in the book about a CEO that refused to admit when he made a mistake, choosing instead to gloss it over. That refusal ended up costing the company $8 million. See what I mean about learning from CEOs’ mistakes? That one was a doozy. The most important part is admitting the mistake and then to follow Steve Jobs’ example: learn from it. And move on. I know a CEO of a large security services company who began a tradition when his company was first founded. Every year he wrote a card to each employee during the holidays, expressing his appreciation for that person’s contribution to the success of his company. As the company grew larger and larger, he kept up the tradition. He had to start earlier in the year, and may have enlisted others to address the envelopes, but he never quit writing those cards. I’m sure some of you are shaking your head already. “Why should I thank them for doing their jobs?” you may be thinking. Or, “We thank all our employees twice a month. It’s called a paycheck.” Or you may think that no one thanks you, so why should you be bothered to thank others? It’s true that criticism is much more prevalent in the workplace than appreciation. It’s partly human nature to point out the negative and leave positive actions unrecognized. And a lot of managers don’t believe in showing gratitude or just feel awkward about it. He believes in making people passionate about their jobs and prefers inspiration to intimidation. Part of this leadership lesson includes letting others know exactly how their efforts are helping the organization and sending handwritten thank-you notes to colleagues and customers. There are even sound business reasons for doing so. Ones that contribute to your bottom line. In a recent article in the Wall Street Journal online about showing appreciation at the office, it was reported that more than half of human-resource managers say showing appreciation for workers cuts turnover, and 49 percent believe it increases profit. Increased profit, less turnover and a more pleasant, positive work environment. All from showing employees a little appreciation. One way to express appreciation is with a personal handwritten note sent to the employee’s home address. In the note, cite a few of that person’s contributions over the past year. You may not be able to shut your entire office for three days to show your appreciation, but consider an afternoon off or treat the office to lunch one day, any time of year. In fact, any gestures of appreciation you make at times other than holidays often get more attention. Last week we discussed the first 2 questions you should ask yourself to confront your business’s harsh reality, which you can read about HERE. This week, we’re going to ask ourselves the next two questions your should be asking. 3. Am I leading by example and delegating to the right people? Employees follow the example of a company’s leadership. A huge part of being a good leader is knowing how to share responsibility and credit, and ensure that your managers are setting good examples for those who work with them. All CEOs have egos. How they survive a troubled situation depends not only on their work ethic and ability to set those egos aside, but also the perception by others of these factors. If employees see you put cash straight from the register into your pocket, they will consider that acceptable. If they hear you bad mouthing clients and customers, they will consider that the company’s attitude – and follow suit. Part of leading by example and delegating is recognizing that, at some point, all entrepreneurs need to either hire a professional manager or become a professional manager in order to reach the next level of success. Typically, entrepreneurs that don’t make this leap are those who ultimately call upon turnaround management professionals. 4. Am I constantly reacting to business issues, or am I being proactive to minimize problems? Being a reactive business manager won’t work in the long run. You’ll be distracted and putting out fires rather than creating value. You need to be proactive about your product line, financial state, management challenges and business. If you see obsolescence of your main product line and don’t look for substitutes in order to stay profitable, then you’re not a good manager. Consider the case of General Motors. They allowed their car lines to get stodgy and produced something the consumer didn’t want. Rather than proactively changing the way things were being done at GM, the company didn’t face the harsh reality of its situation and reacted by filing bankruptcy. On the other hand, there’s Apple. They evolved their product line even before they saw obsolescence with existing products. They invest heavily in R&D, a very proactive approach. Be proactive – not reactive. Get ready for next week, when we’ll learn the final 2 Questions we should be asking ourselves in order to face the harsh realities of our business’s situation. Until then, share the kinds of questions you ask yourself about your business in the comments below.